Asparagus Again? | WTF Do I Eat Tonight? 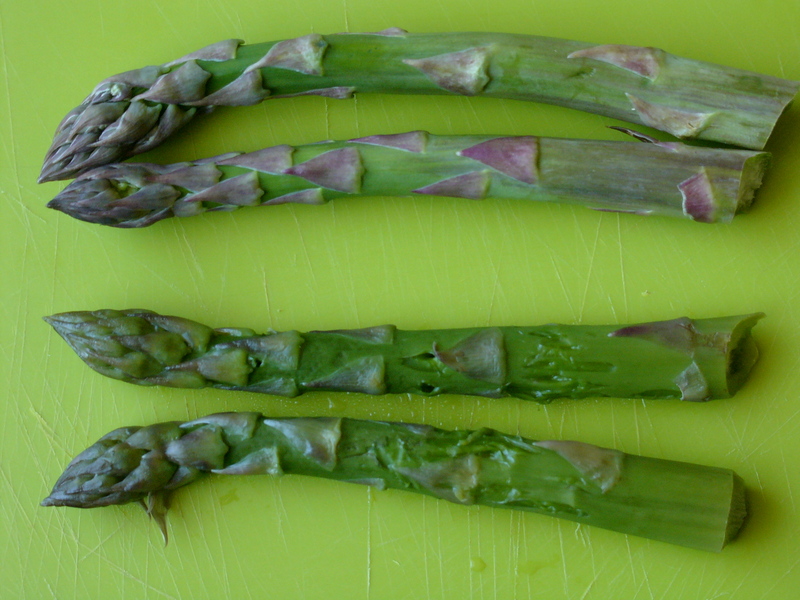 Less than two weeks into the very very short season and I’ve already had asparagus four times: Benedict (twice), steamed with just butter, salt and pepper and steamed with olive oil and Parmesan. So, now that I’ve sated the desire simply to eat the stuff, I can think about cooking with it. And risotto is one of the best places to start. The internet teems with likely recipes but the one in Nigel Slater’s The Kitchen Diaries is my favourite. His use of lemon juice and zest at the end lifts what can be a rather rich-tasting dish into something altogether lighter and sunnier. And, yes, risotto is a bit of a faff, but don’t believe anyone who says it’s hard. If you know how to stir a sauce in a saucepan you can make it. What’s more you really only need one pan (at a push two) so the effort’s all in the cooking and eating, not in the clearing up, as it should be. Two things to note: you really have to use the right type of rice for this. No easy-cook please; it will be anything but if you use it. And although I know that homemade stock is best stock cubes work fine too; Mr Slater says that vegetable stock won’t give the desired result but I’ve made vegetarian versions without complaint. 1. Melt the butter in a saucepan over a low heat then soften the chopped onion in it until translucent but not coloured. Once ready, drain (keeping the liquid; it’s useful if you run out of stock) and set to one side. 3. Add the rice and coat with the buttery onion juice, pour in the alcohol then let it reduce until most of the liquid has evaporated. 4. Now start adding the hot stock spoonful by spoonful and, after each addition stir until it is completely absorbed. Then add another, stir until completely absorbed…over and over until almost all the stock has been used up. This will seem to take an age but, in reality, from beginning to end, the stock-stirring-absorption phase should take about 20 minutes. Test the rice often after the first ten minutes and when you get to the point where you think it needs just a tad more add the asparagus and stir this in with the last few spoonfuls of stock. This entry was posted in Asparagus recipes, Nigel Slater, One pot, Spring vegetable recipes, Vegetarian recipes and tagged asparagus recipes, asparagus risotto recipe, Nigel Slater, Nigel Slater risotto recipes. Bookmark the permalink.